Most of us have experienced anxiety at some time in our lives. That tense feeling, being hesitant and fearful of an approaching exam, test or interview. These situations are normally short-term and can be useful; they may make you more alert in an exam. However, the feelings may overwhelm you making you unable to concentrate. Panic attacks are the exaggerated response of the body to fear and stress. You often get palpitations in your heart, possibly feeling faint, nauseous, chest pains, difficulty breathing and many more. You may start to feel you are going to have a heart attack and die. Attacks come on quickly and last from five to twenty minutes, those suffering them for longer are experiencing several attacks one after the other. Anxiety and panic attacks can be a combination of factors. Something distressing happening to you in the past (possibly in childhood) and you were unable to deal with the emotions at the time. If things happen to you now which trigger that distress the anxiety and the emotions which have not been dealt with, and possibly trigger a panic attack. Your parents may have been anxious people and therefore this has been learnt by you in your early life. Unfortunately, anxiety has an effect on your body and mind making you fearful, on edge, and unable to relax or concentrate. To cope with these feeling you might smoke, drink or use drugs as relaxants. To stop the anxiety and panic attacks, learning to meditate and relax the mind is very helpful. Meditation is not all about sitting cross-legged on the floor; it is about learning to relax and focusing on a soothing voice or music. In my groups I do guided meditation, you focus on my voice as I take you on a relaxing journey to relax you. 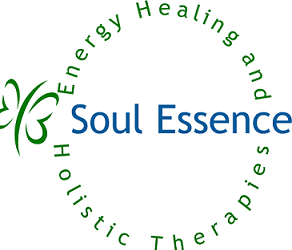 Energy healing and integral core therapy, also benefits people suffering anxiety and panic attacks, we encourage you to go back to the fearful feelings and learn how you can deal with them. My meditation groups are the 1st Wednesday of the month. I also do one to one sessions for meditation, energy healing and integral core therapy. If you would like advice or help please contact me.